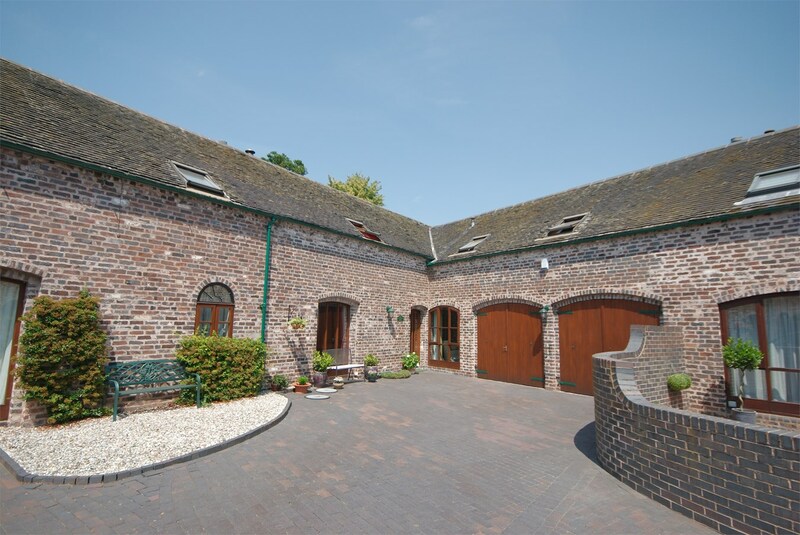 Certainly more deceptive than first appearances would imply, an internal inspection of this Grade 2 listed luxury barn conversion is essential to fully appreciate this truly substantial and magnificent barn located in this most sought after courtyard. 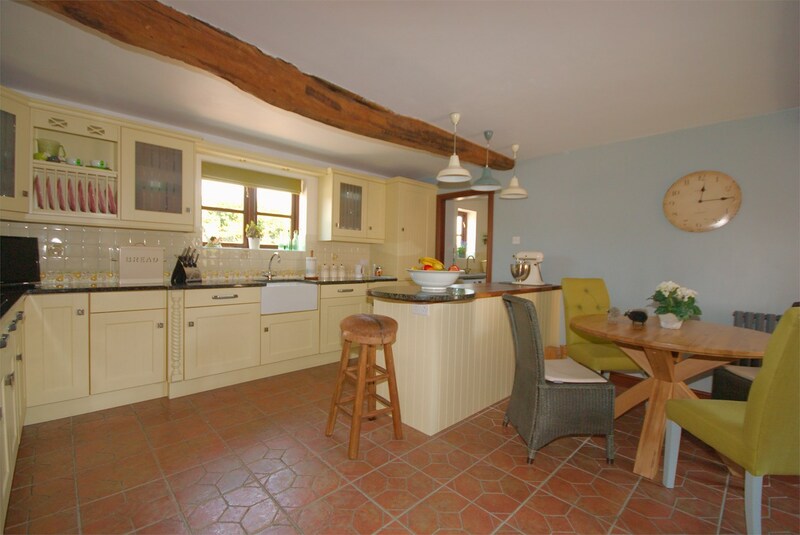 The current owner has significantly improved and enhanced over the years, and the accommodation layout offers versatility and a true feeling of space. 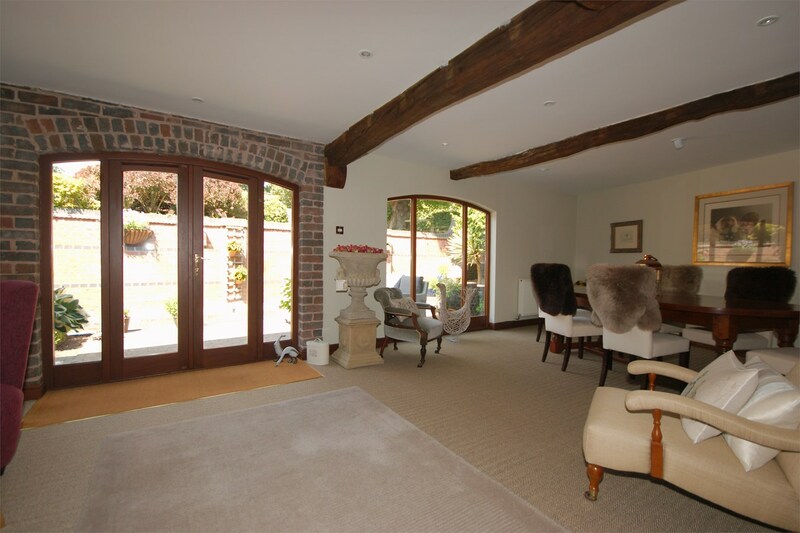 The ground floor boasts an impressive entrance with a dining/living area, separate formal lounge, spacious breakfast kitchen, utility and guests cloakroom. 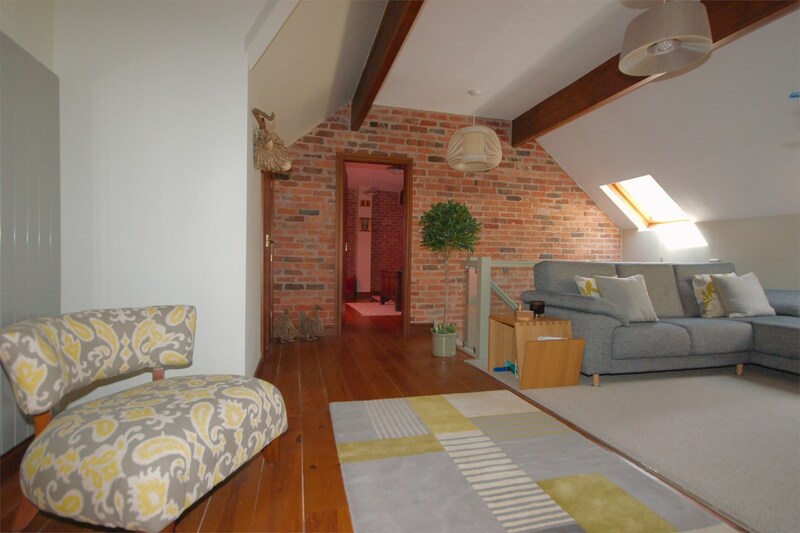 On the first floor whilst formerly a four bedroom property there is now a delightful open plan lounging/T.V. 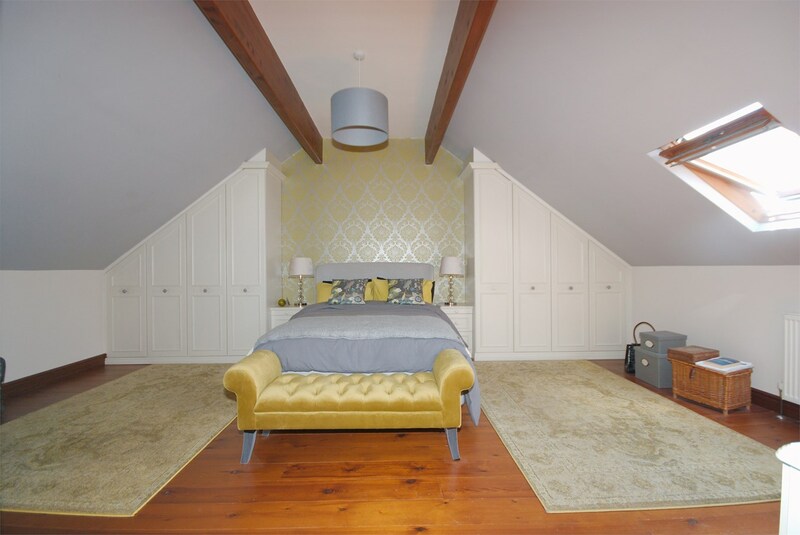 area, spacious master bedroom with en suite shower and dressing room and two substantial further double bedrooms together with main bathroom. 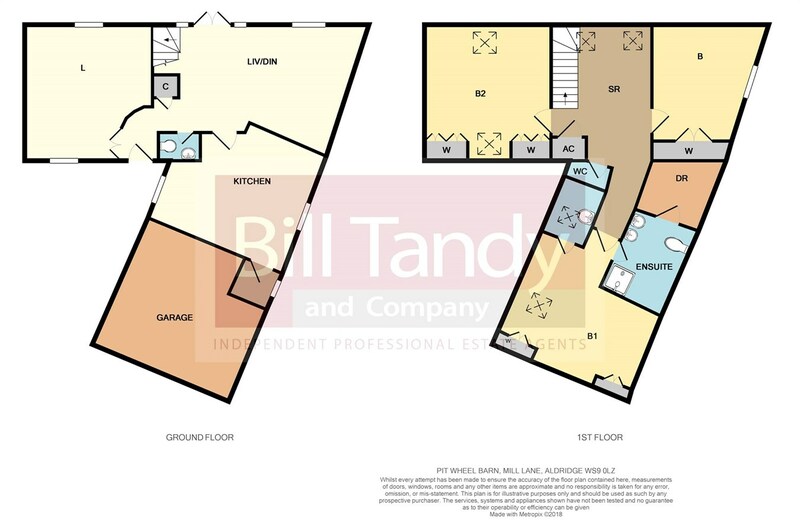 This very individual collection of barns continues to prove extremely popular with purchasers wanting an away from it all feeling yet is only a short distance from the comprehensive range of amenities in Mere Green, Sutton Coldfield and Aldridge. 28' max (22'9" min) x 18' 10" max (12'4" min) (8.53m max 6.93m min x 5.74m max 3.76m min) approached via a double glazed entrance door and having double glazed arched picture window and French doors leading to the private courtyard, staircase rising to first floor with under stairs storage cupboard, radiators, exposed beams, recessed ceiling spotlights and doors to further accommodation. 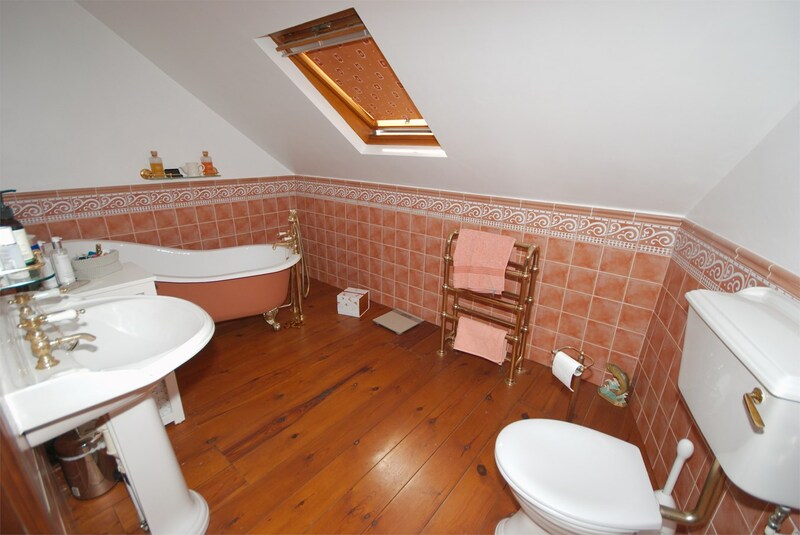 having a white suite comprising W.C. and corner vanity wash hand basin, radiator, tiled flooring, tiled splashbacks, extractor fan, ceiling light point. 18' 2" x 17' 4" max (5.54m x 5.28m max) having double glazed arched picture window to front and further double glazed window to rear. 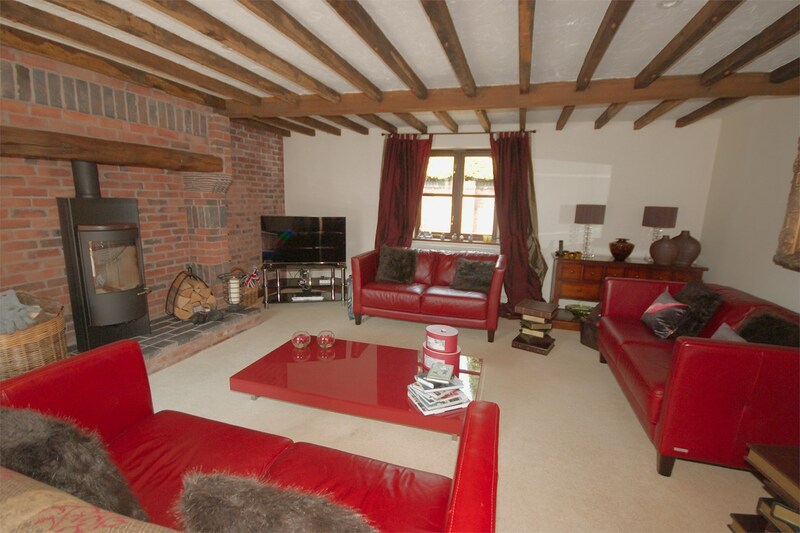 Feature fireplace with raised stone hearth and oak mantle housing a delightful feature Hase cast-iron log burner, radiator, exposed beamwork, recessed ceiling spotlights. having double glazed window to rear, granite effect roll top work surface, inset one and a half sink and drainer with mixer tap, range of Shaker style base storage cupboards, plumbing for washing machine, additional space for tumble drier, freezer, tiled splashbacks, radiator, tiled flooring, ceiling light point and door to garage. 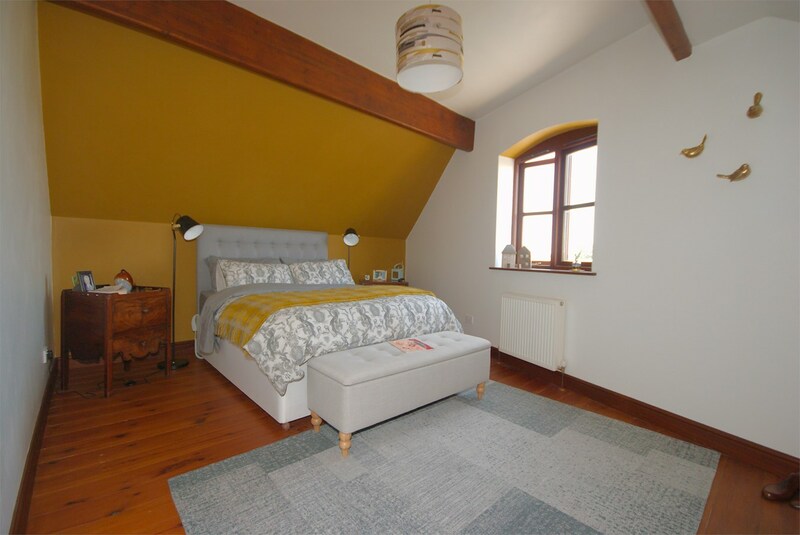 18' 3" x 14' 9" (5.56m x 4.50m) previously a fourth bedroom and having two double glazed skylights, part stripped wooden flooring, fitted electric panel wall heater, additional feature vertical radiator, exposed beamwork, ceiling lighting and doors to further accommodation. 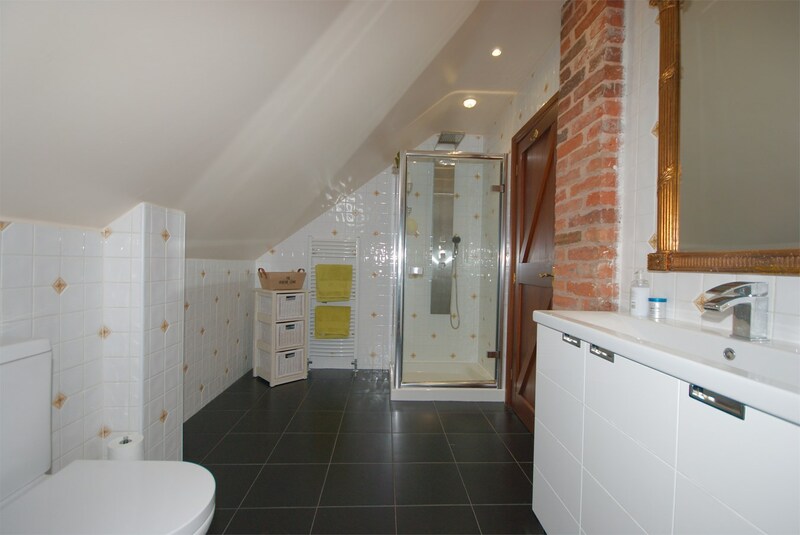 10' 8" x 6' 11" (3.25m x 2.11m) having white suite comprising corner shower cubicle having feature mains shower with soaker head, additional shower attachment and body jets, W.C. and vanity wash hand basin with mixer tap, tiled walls, tiled flooring, heated ladder style towel rail, shaver socket, recessed ceiling spotlights and door to DRESSING AREA having radiator, built-in shelved units with hanging rails, stripped wooden flooring, fluorescent strip light. 18' 3" x 17' 3" (5.56m x 5.26m) (inclusive of wardrobes) having two double glazed skylights to front and back. 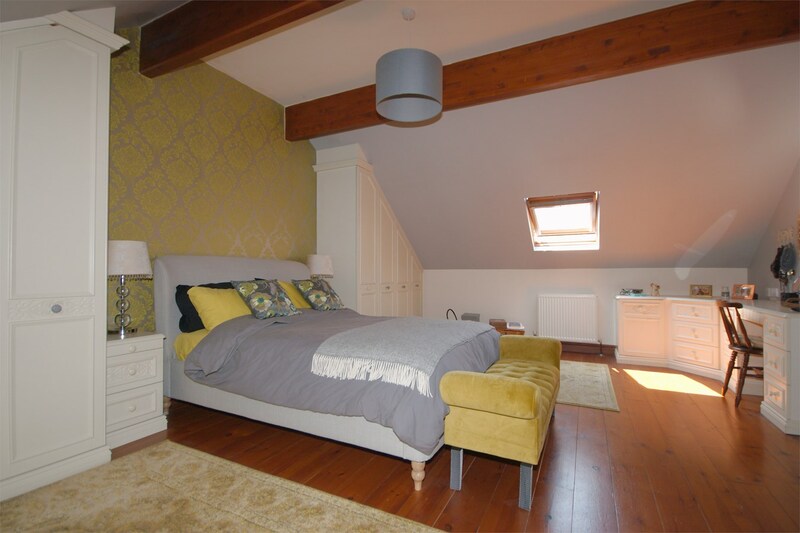 Extensive fitted wardrobes, window seat with drawers beneath, radiator, stripped wooden flooring, exposed beams, ceiling lighting. 16' 4" max x 13' 3" max (9'1" min) (4.98m max x 4.04m max 2.77m min) having double glazed window. 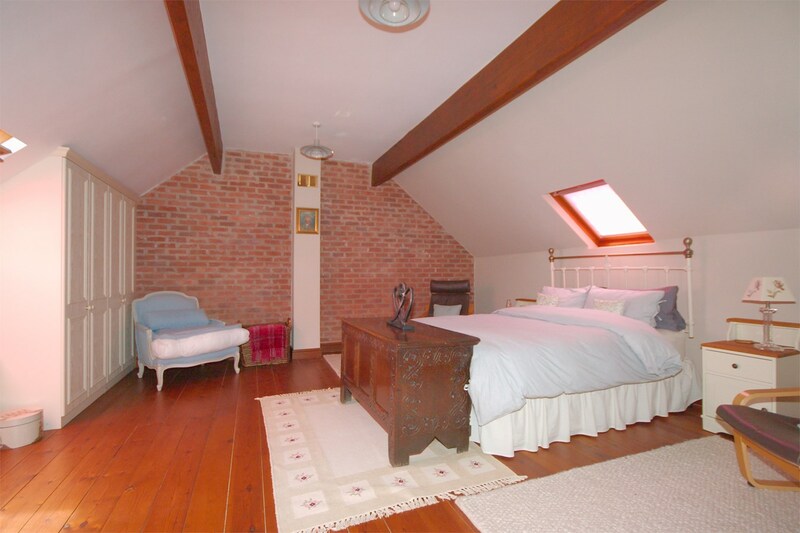 Double radiator, access to loft, exposed beams, built-in double wardrobe, stripped wooden flooring. 11' 10" x 7' 4" (3.61m x 2.24m) having double glazed skylight, white suite comprising feature colour matched free-standing slipper bath with mixer tap and telephonic shower attachment over, W.C. and pedestal wash hand basin, tiling to half height, traditional style heated towel rail, stripped wooden flooring, recessed ceiling spotlights and extractor fan. 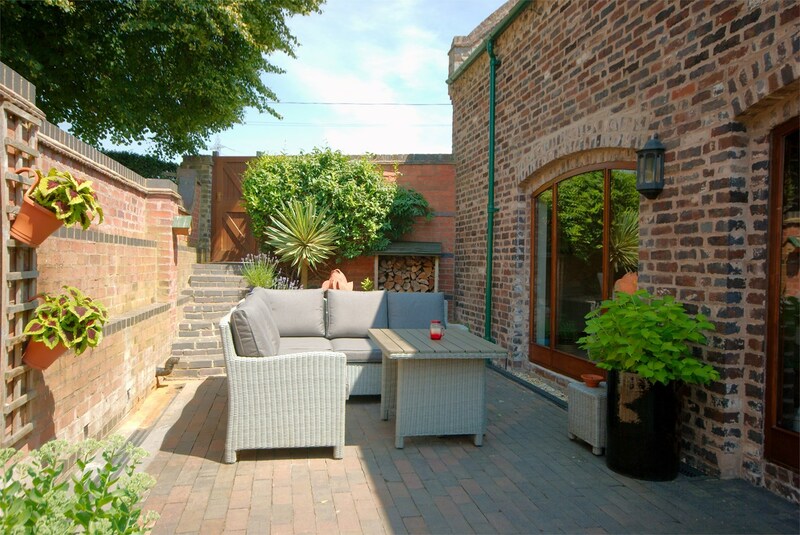 The property is accessed through a delightful and private inner courtyard area which is block paved and offers parking for two vehicles to the front of the property. 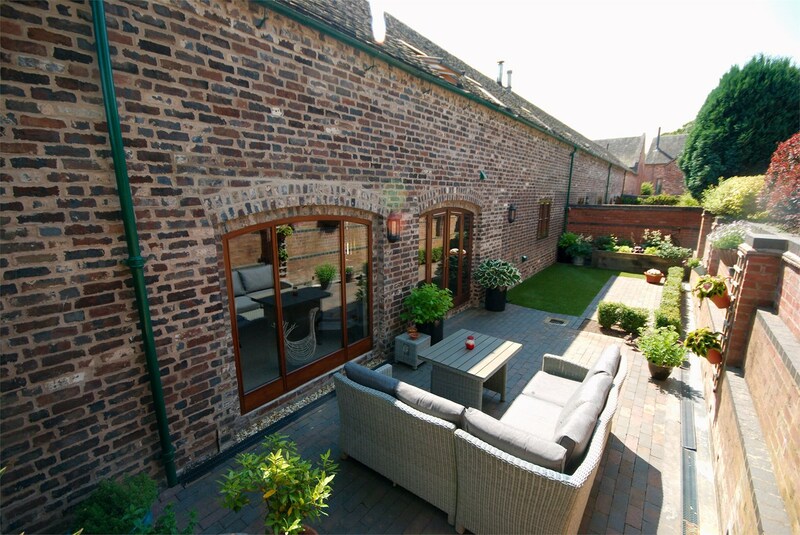 In addition there is a private access from outside the development which leads to a delightful private and hard landscaped walled courtyard garden having block paved patio area, artificial lawn, a variety of shrubs, external lighting, power socket, water tap and infrastructure for a water feature. 19' 11" max length (13'6" min x 18' 8" max width (9'1" min) (6.07m max length 4.11m min x 5.69m max width 2.77m min) having twin oak double entrance doors, electric power and lighting, wall mounted gas combination boiler.